ERIE, MI (March 27, 2018) – Finishing second anytime may get you called a lot of things, but one isn’t winner. 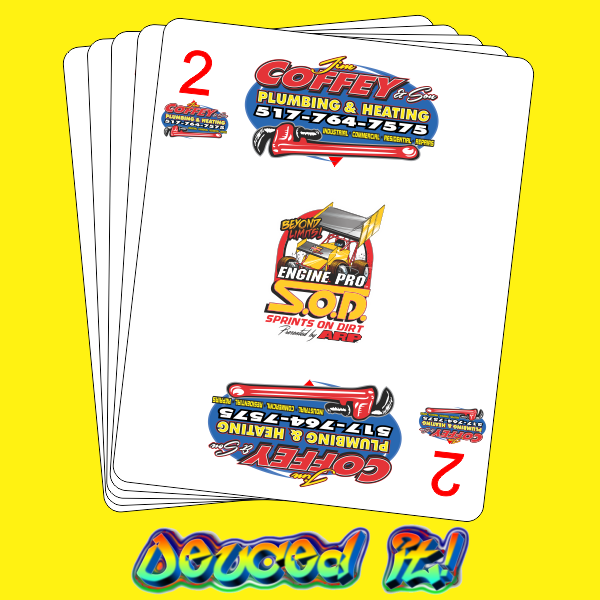 Engine Pro Sprints On Dirt presented by ARP partner Jim Coffey & Son Plumbing & Heating will help ease the pain of finishing second through its Deuced It! Award that will pay a $100 cash bonus to the second-place finisher for all 2018 SOD features. Jim Coffey & Son Plumbing & Heating, located in Jackson, Michigan, has been part of open wheel racing in Michigan for many years on both dirt and pavement. Sprints On Dirt is honored that the business has selected SOD to partner with. 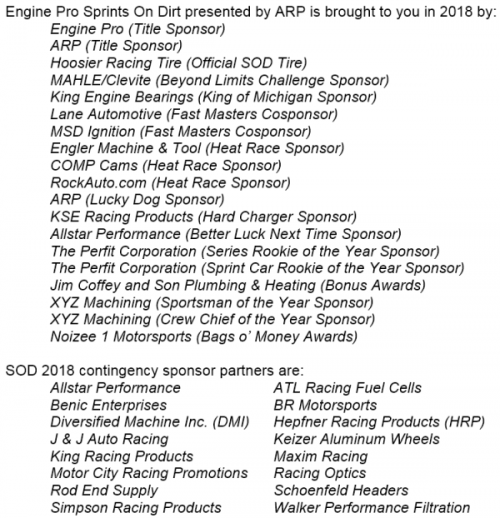 Last year, Engine Pro Sprints On Dirt presented by ARP paid out $76,535 in contingency cash and awards thanks to its marketing partners who have benefitted from SOD’s work to put the PRO in promotion. Follow along with us as we work for them in 2018 and please support our partners listed below. ERIE, MI (March 23, 2018) – The Engine Pro Sprints On Dirt presented by ARP 2018 season is fast approaching. Below is a rundown of the current schedule. Saturday, April 28, a long-running SOD tradition continues with the season opener set for Crystal Motor Speedway (Crystal, MI). 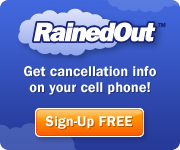 Hopefully, another recent tradition, raining out the opener, won’t continue, but just in case, Saturday, May 5 is set as the rain date. Saturday, May 12, just added to the schedule, SOD invades the home of Michigan’s weekly sprint car racing, Butler Speedway (Quincy, MI), for the first of four big shows at the reconfigured oval. Friday, May 18, the highly-anticipated King Engine Bearings King of Michigan Race 1 at Hartford Motor Speedway (Hartford, MI) opens the series that has been expanded to five races this year. Friday, June 8, SOD returns to Hartford Motor Speedway’s speedy 3/8 mile for the King Engine Bearings King of Michigan Race 2. Saturday, June 9, SOD rolls into Butler Speedway as part of the speedway’s popular WW III show, closing out the season’s first two-day weekend. Friday, June 22, SOD travels northeast to Tri-City Motor Speedway (Auburn, MI) where the 2018 MAHLE/Clevite Beyond Limits Challenge is currently set to kick off. This will be SOD’s first appearance at the speedway since 2013. 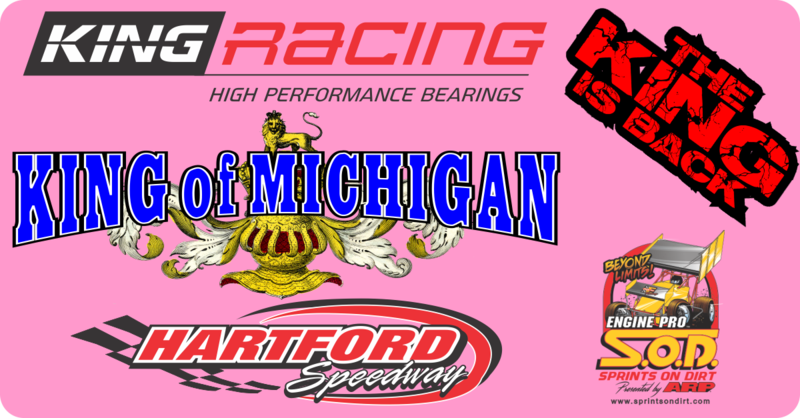 Friday, July 6, SOD returns to Hartford Motor Speedway for the middle King Engine Bearings King of Michigan race. Saturday, July 14, SOD’s return to Crystal Motor Speedway marks the 2018 mid-season. Friday, July 27, things get serious at Hartford Motor Speedway for the King Engine Bearings King of Michigan championship as the fourth race takes place. Friday, August 3, SOD joins Butler Speedway’s night one of its late-season extravaganza, the Butler Bash. Saturday, August 4, SOD returns to Butler Speedway for night two of the Butler Bash and to crown the Bash Master, completing the two-day weekend. Saturday, August 25, SOD heads north to Merritt Speedway (Lake City, MI), “Michigan’s Premier Dirt Track” for the next MAHLE/Clevite Beyond Limits Challenge race. Friday, August 31, SOD will close out the 2018 King Engine Bearings King of Michigan series at Hartford Motor Speedway and crown the champion. Saturday, September 1, the Mike Olrich Memorial Race, the final 2018 MAHLE/Clevite Beyond Limits Challenge race, and the final 2018 SOD points race all rolled into one, action-packed night, making this one you don’t want to miss at Crystal Motor Speedway. Saturday, September 29, will top off the 2018 season with SOD’s much-anticipated season finale, just announced to be the End-of-the-Year Shootout, on the impressive temporary dirt at Berlin Raceway (Marne, MI). 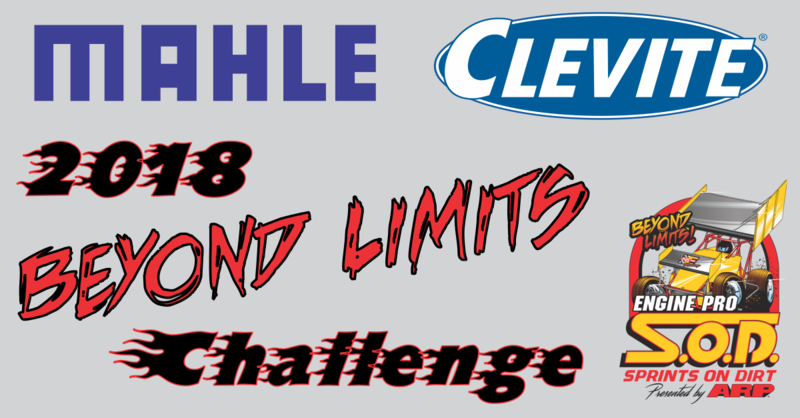 The schedule currently only shows three 2018 MAHLE/Clevite Beyond Limits Challenge dates. The other two BLC dates will announced once all partner participation details are finalized.